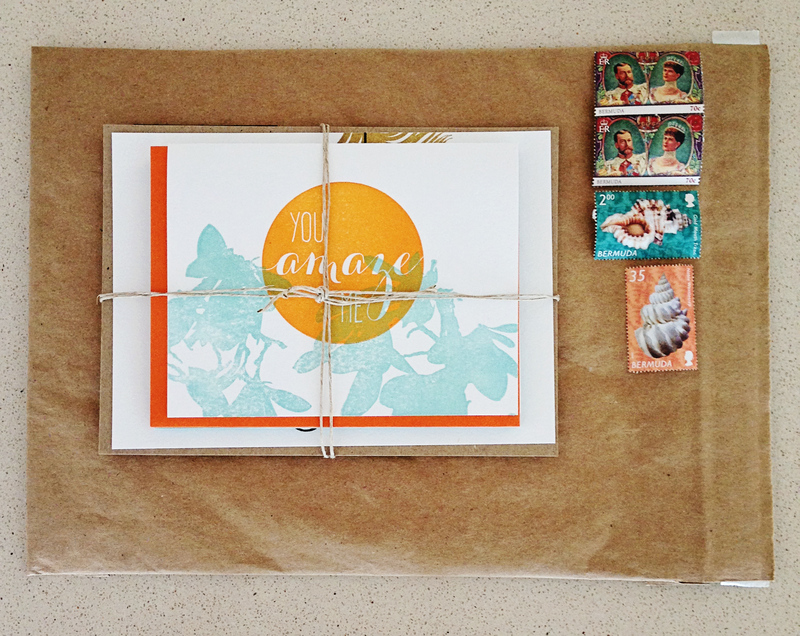 Yesterday was a very exciting day as I sent out my first Card Club subscription package! An etsy member bought it for her stationery-loving friend’s birthday. Isn’t that so fun? The subscription is twelve deliveries of handmade letterpress goodies sent right to your door. Each month’s delivery is worth more than $20 and will include an assortment of greeting cards, prints, coasters, bookmarks, recipe cards and more. I don’t want to give away the surprise of what’s all in there, but here’s a sneak peek—plus she also got an exclusive print! Subscribe to Card Club here—and don’t forget it makes a fabulous gift!